One of the great things about the WordPress world is the fact that there are so many solutions to problems that are free or really inexpensive. Sometimes, to get a best in class solution, you need to make an investment. One of the best investments I have ever made was in the Gravity Forms plugin from Rocket Genius. The Gravity Forms plugin allows you to build contact forms on your web site. They have addons that allow you to take payments, conduct polls, offer quizzes and so much more. In the last couple of months I’ve used this program to collect detailed information from new photography clients allowing the team to be ready for the next visitor. I’ve also used it in my day job to conduct quizzes of participants in a CME activity. Being able to collect information from your web site visitors is one of the best tools you can have as a business owner. Instead of a boring contact form with name, email and question, Gravity Forms allows you to personalize the form and collect the exact information you want. Best of all, it’s an easy to use, well built plugin that you can count on for years to come. 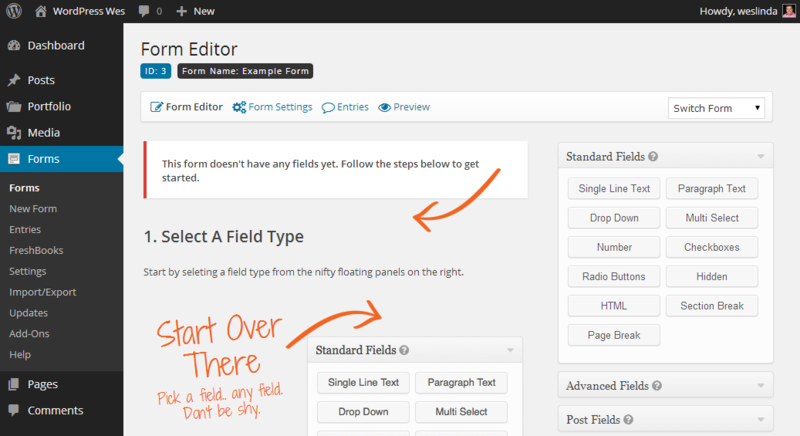 Do yourself a favor and invest in what I believe is the best web site forms plugin available to the WordPress community.